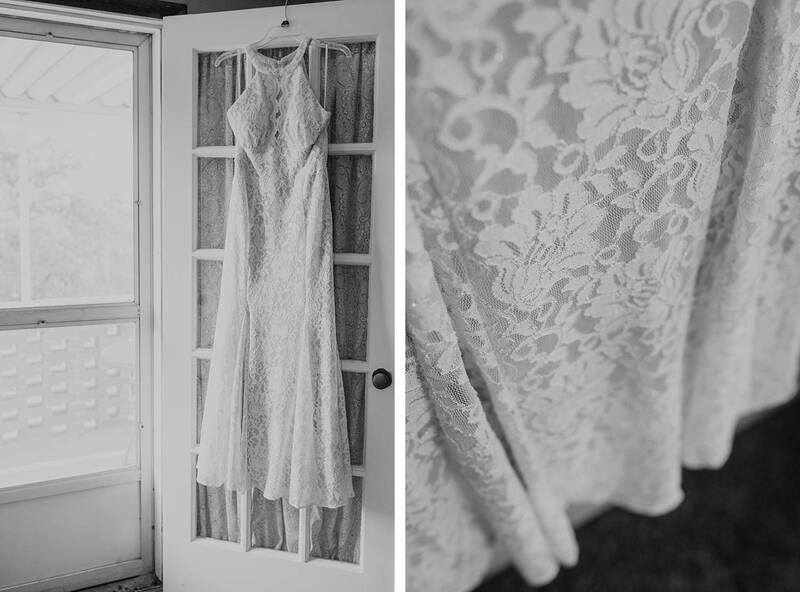 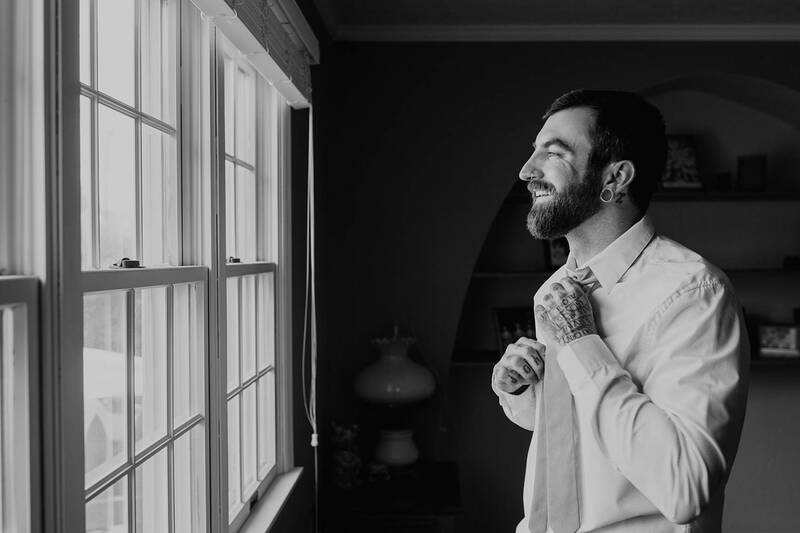 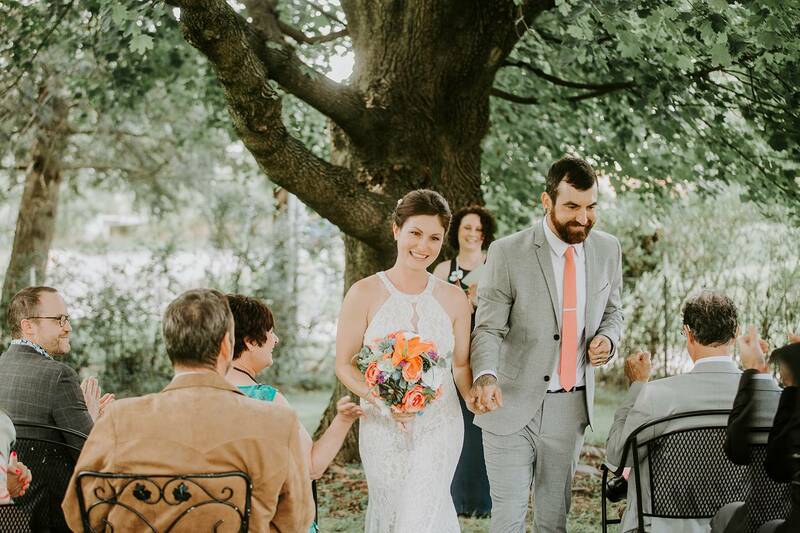 Abby & Travis are Married! 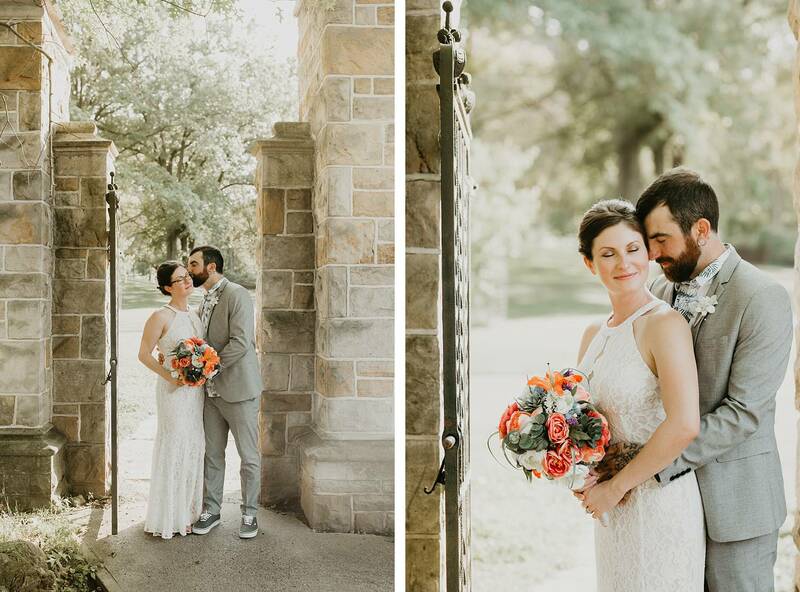 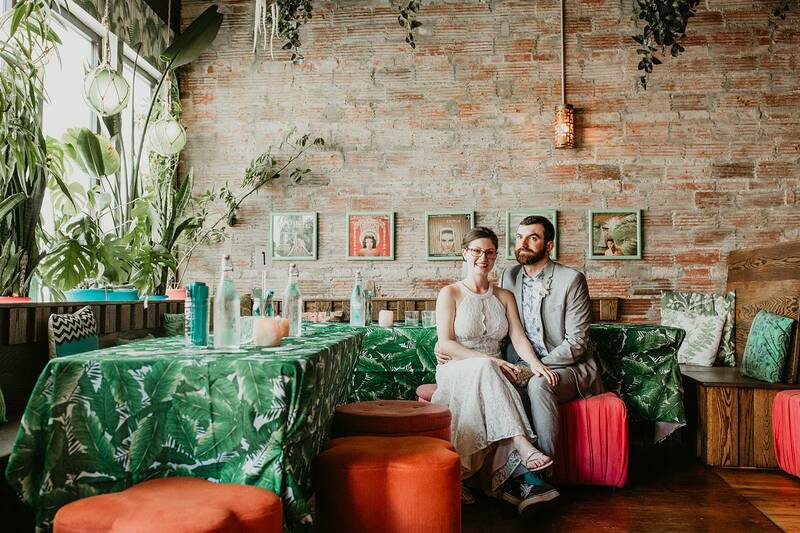 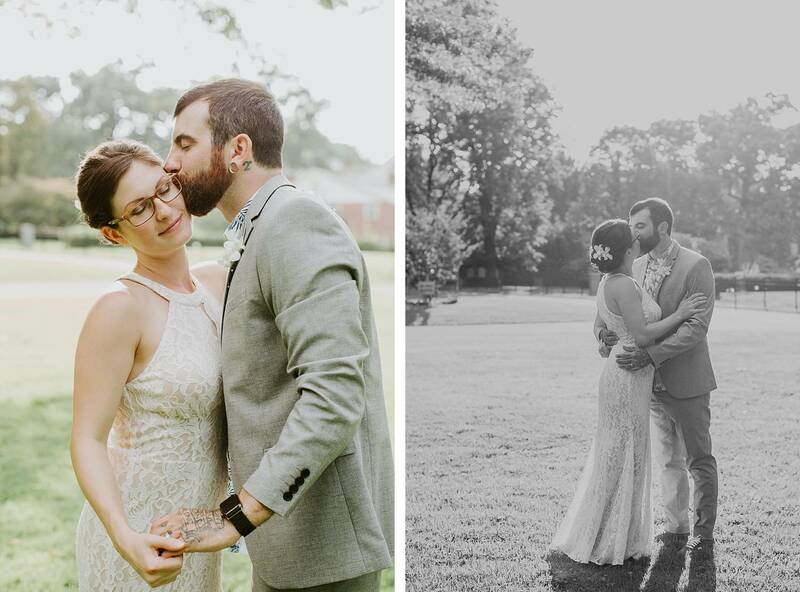 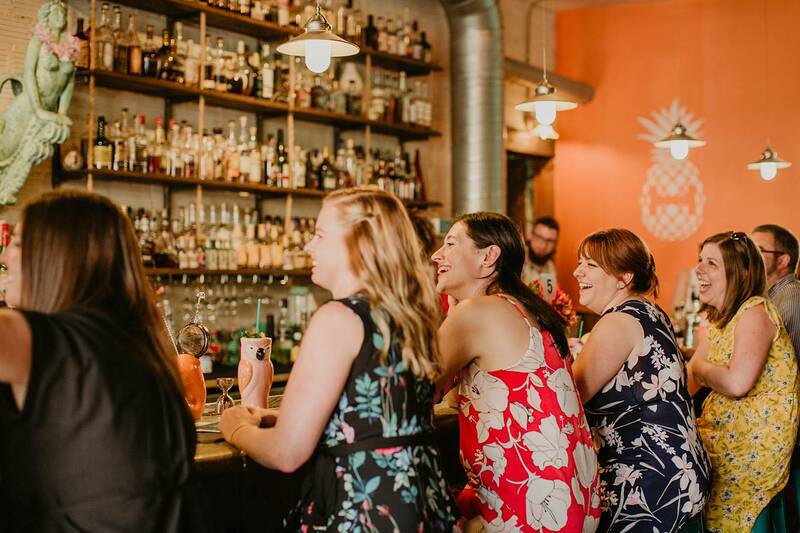 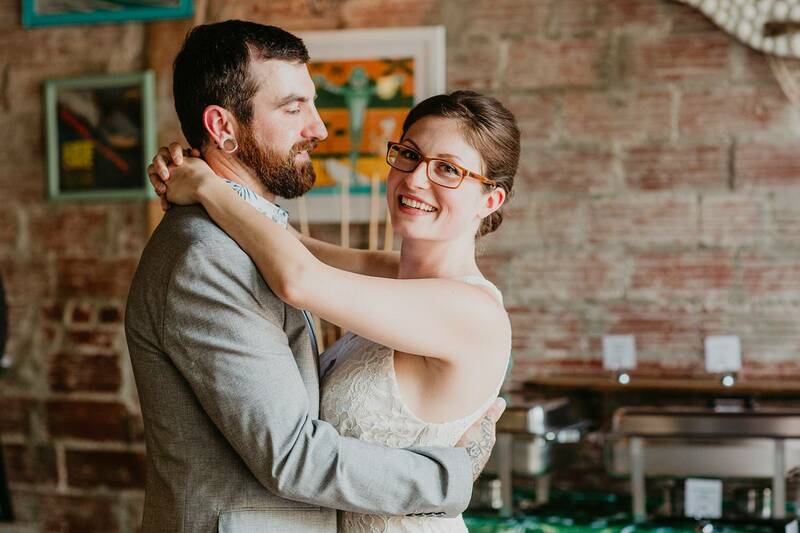 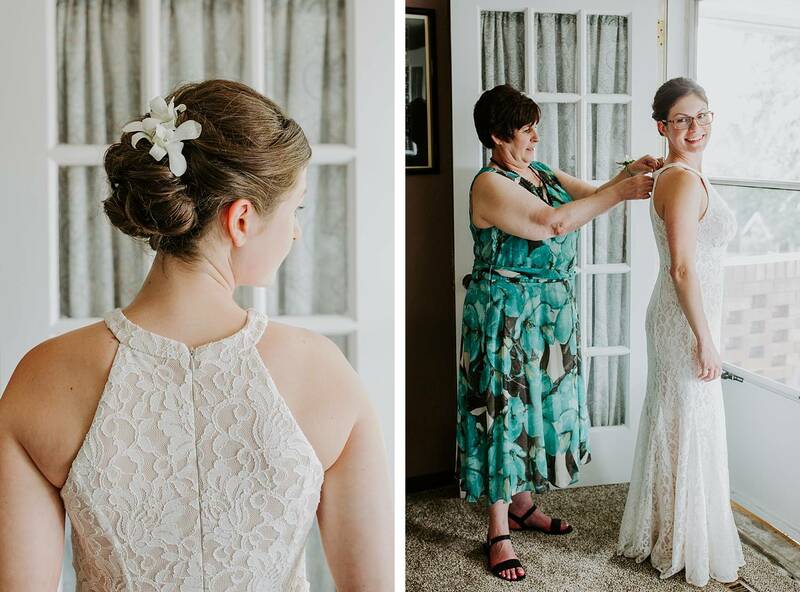 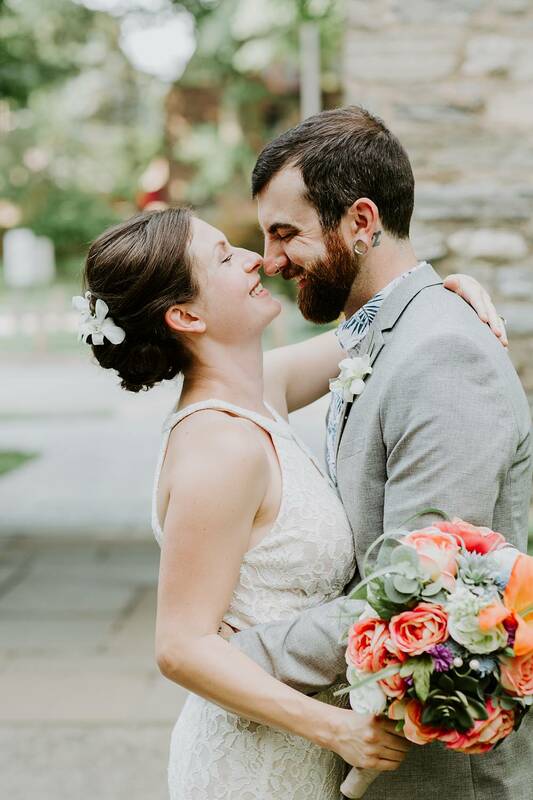 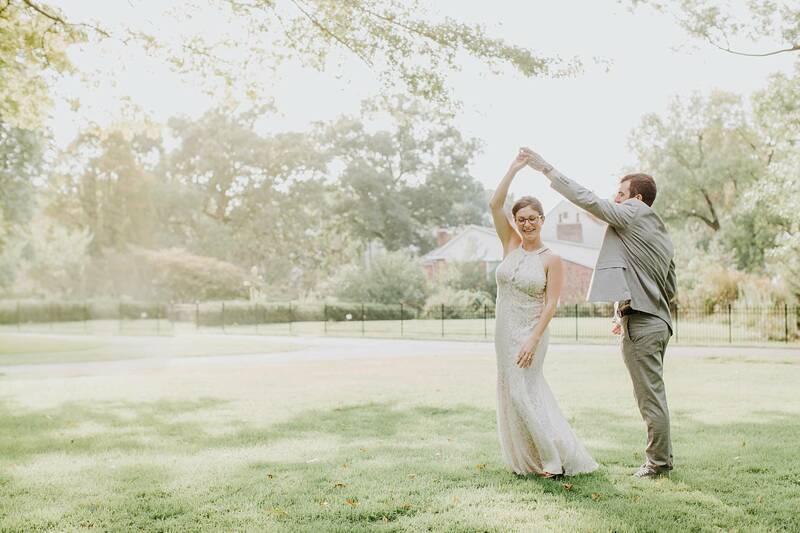 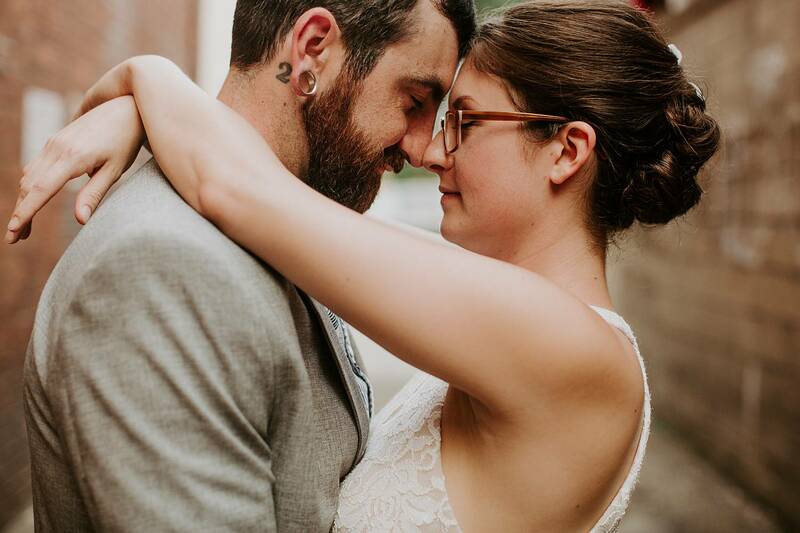 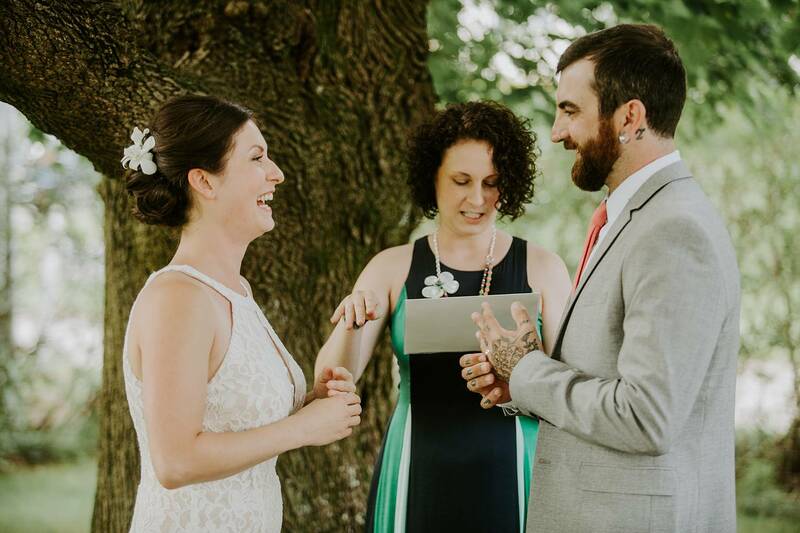 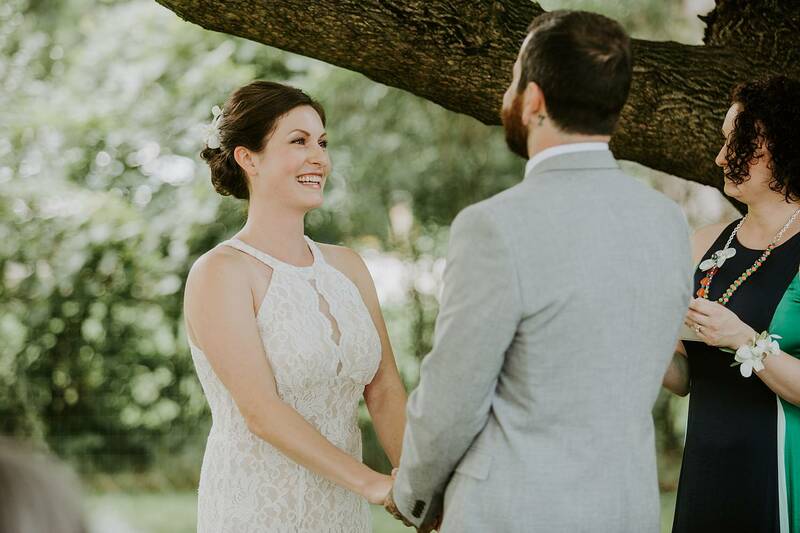 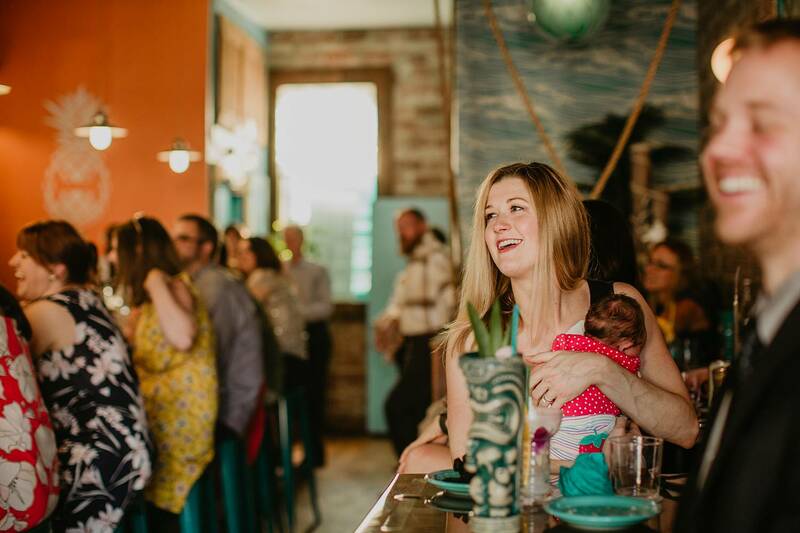 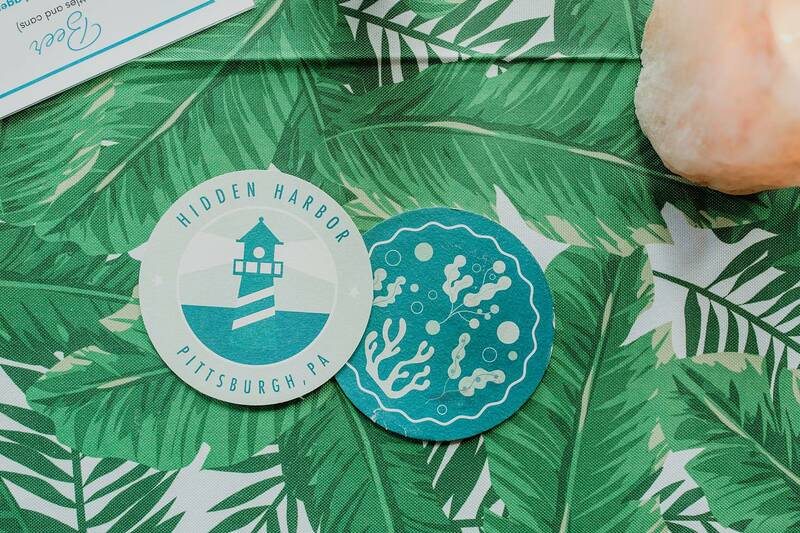 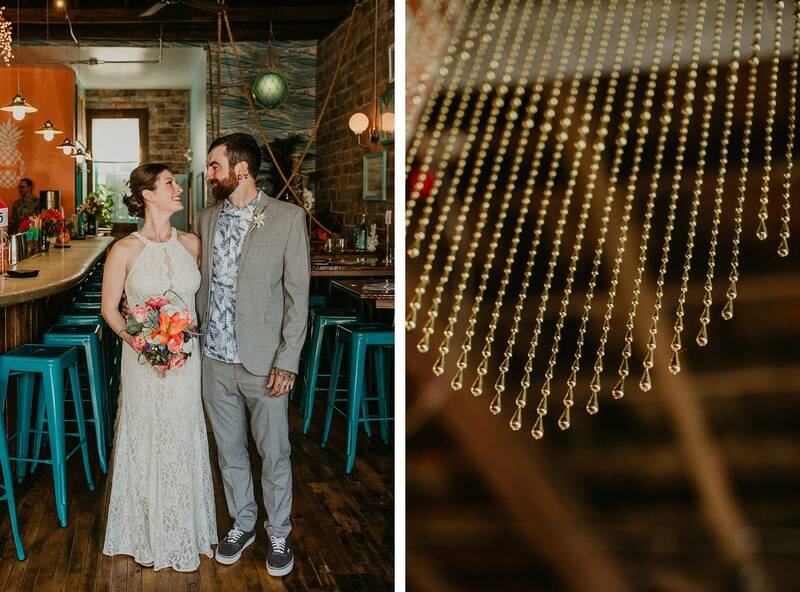 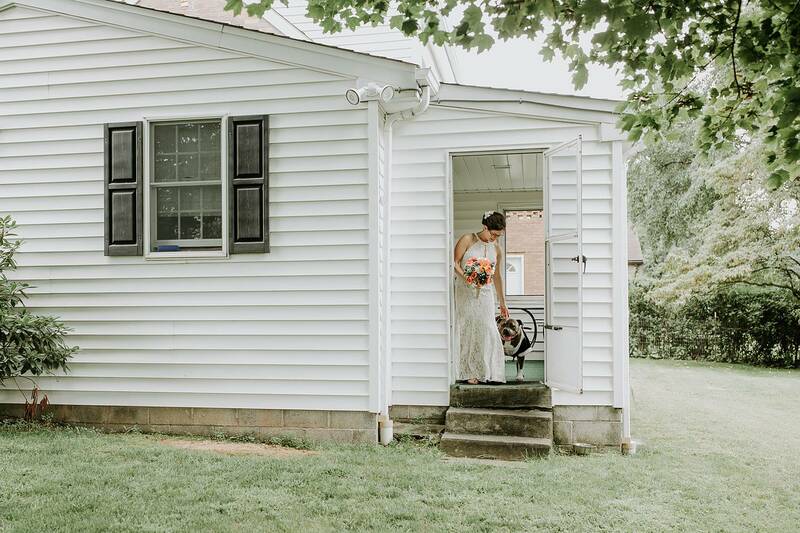 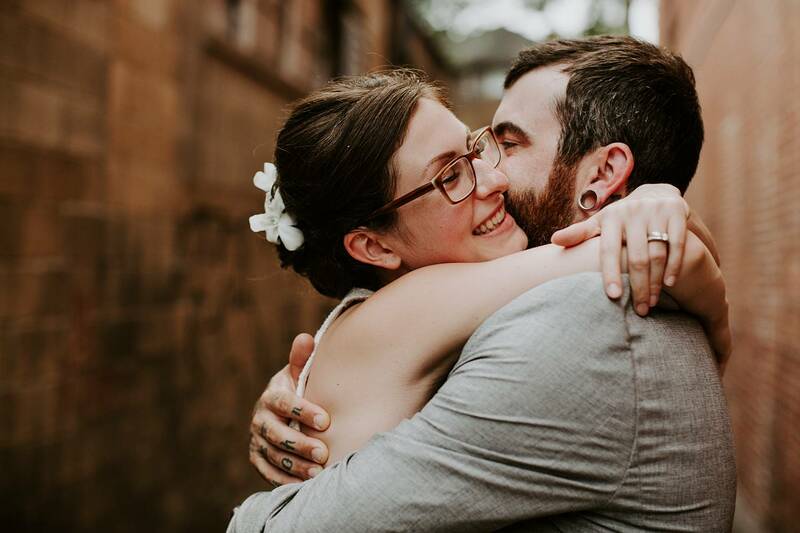 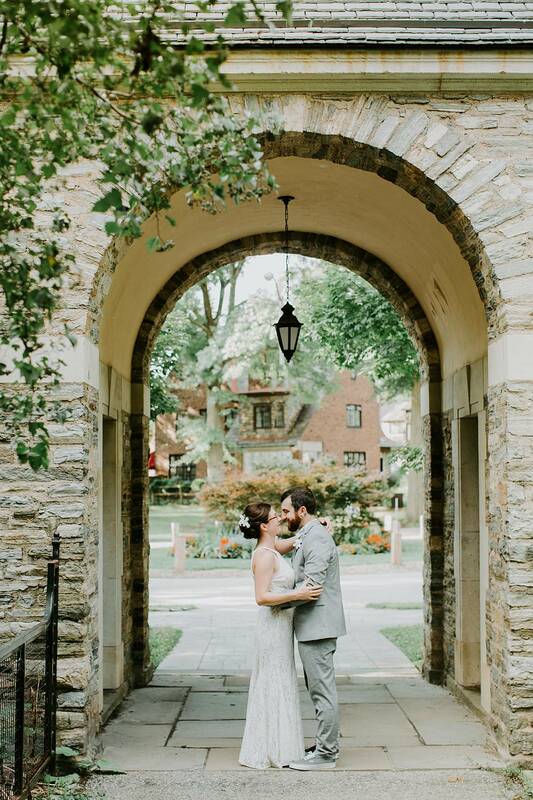 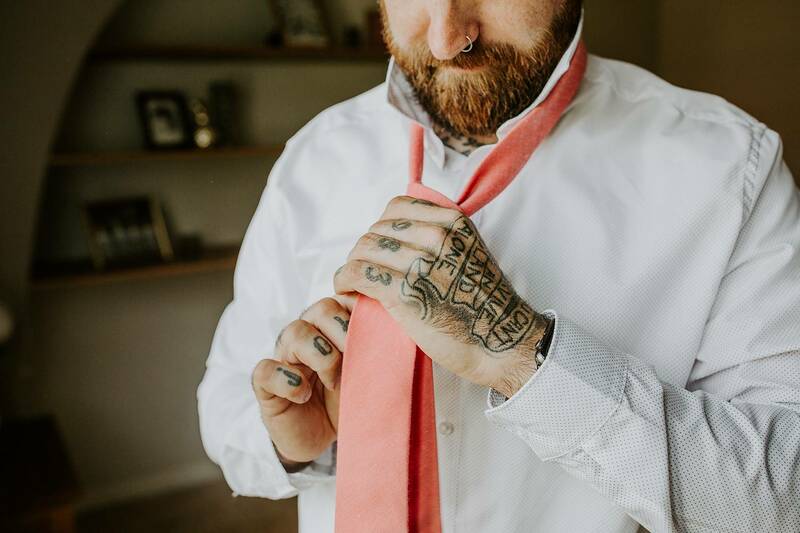 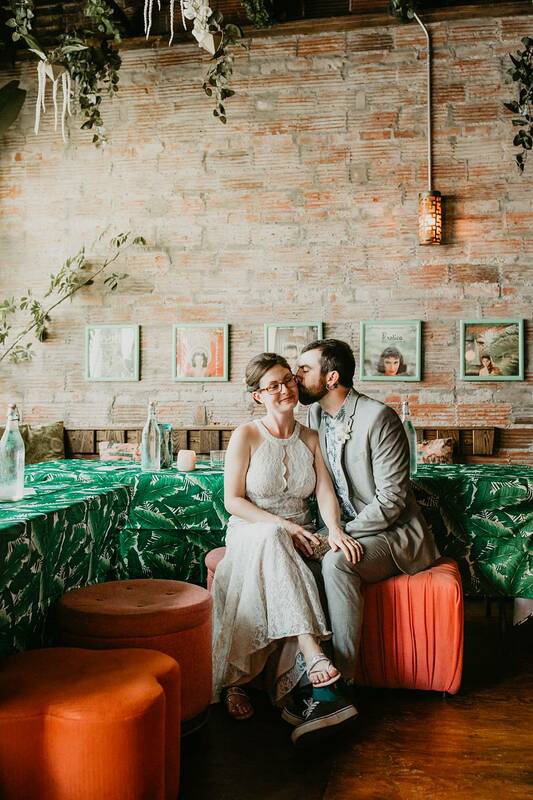 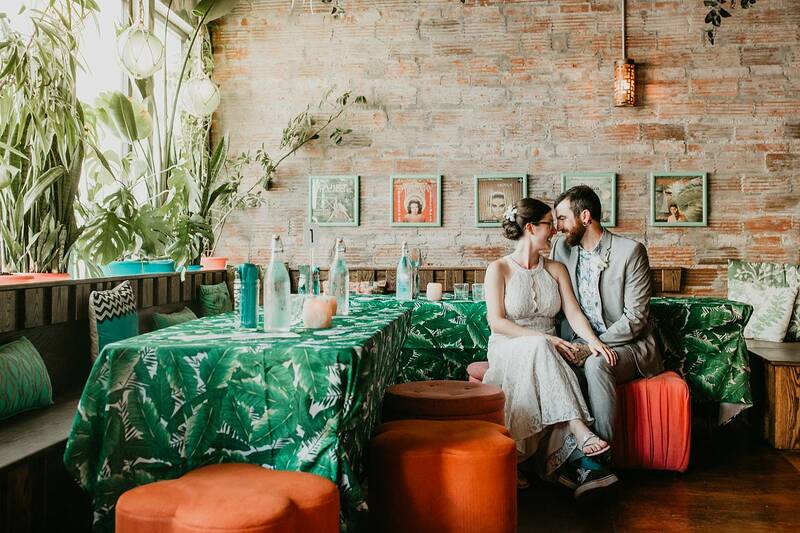 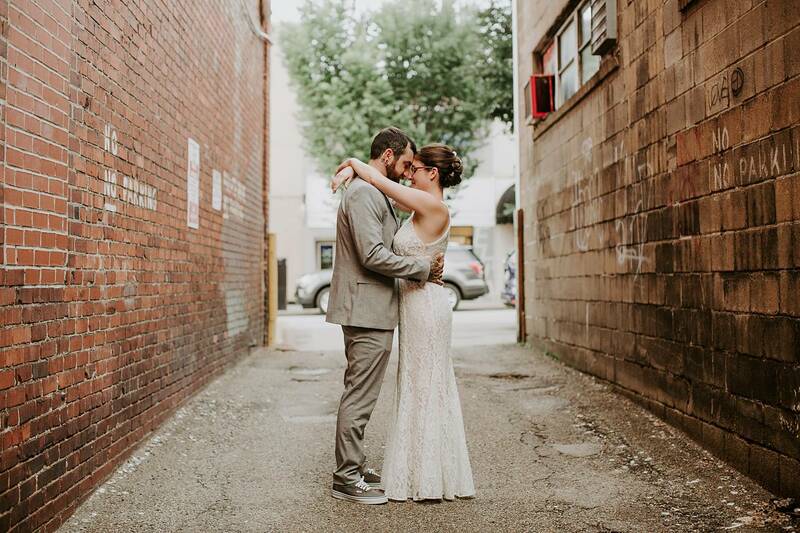 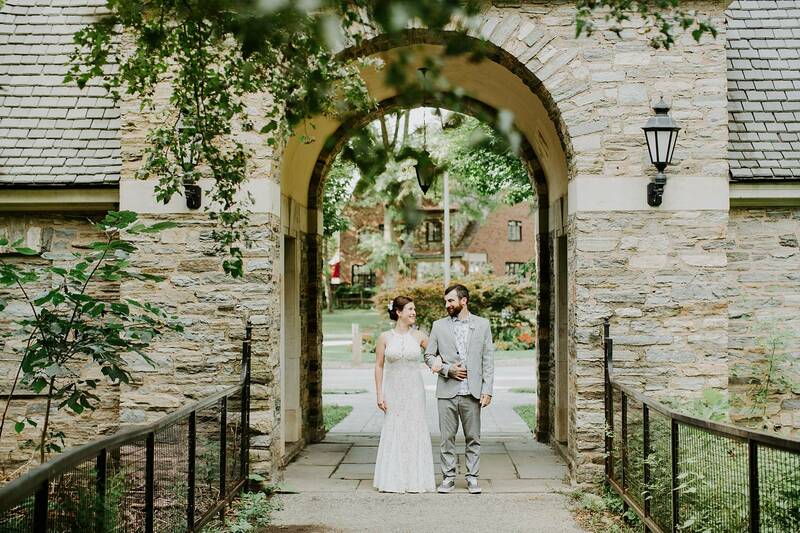 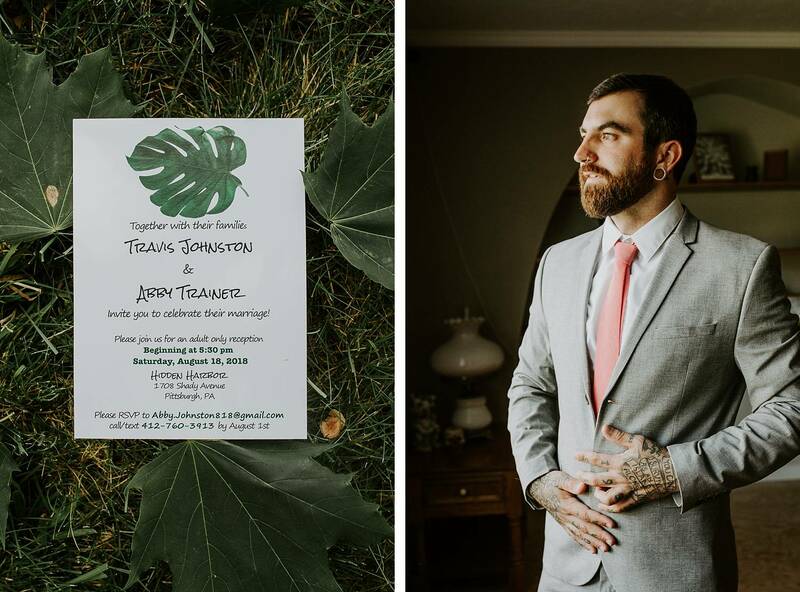 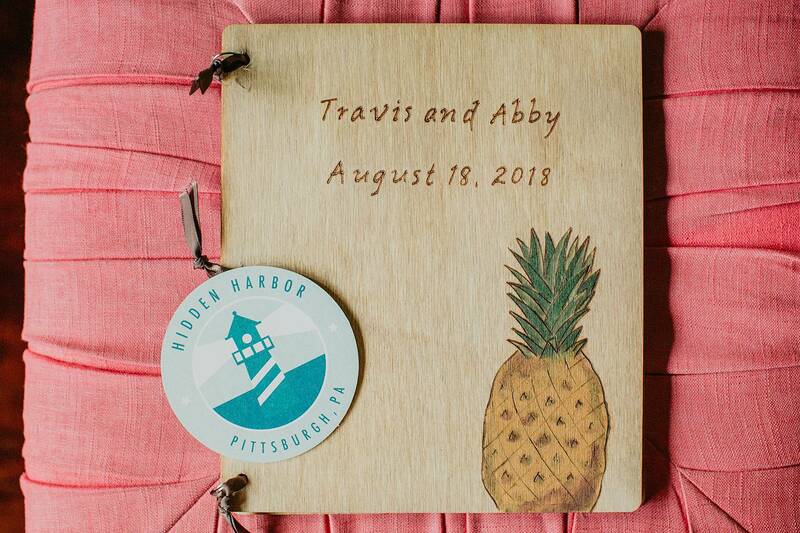 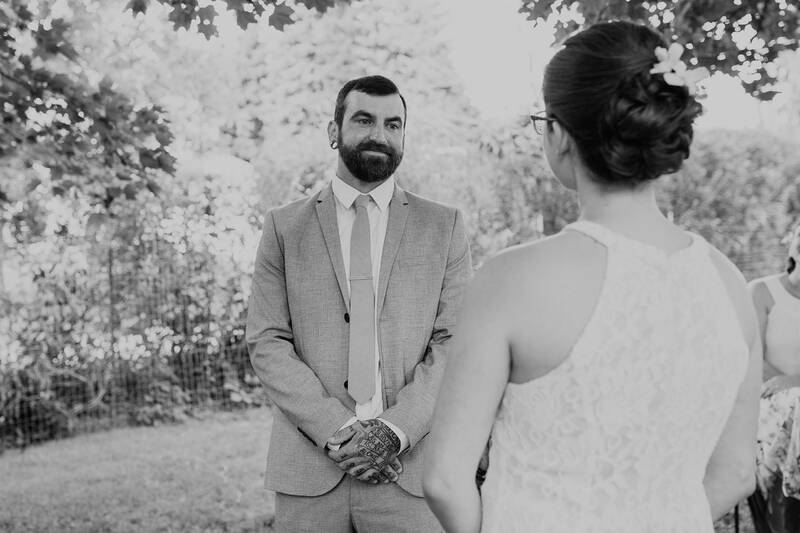 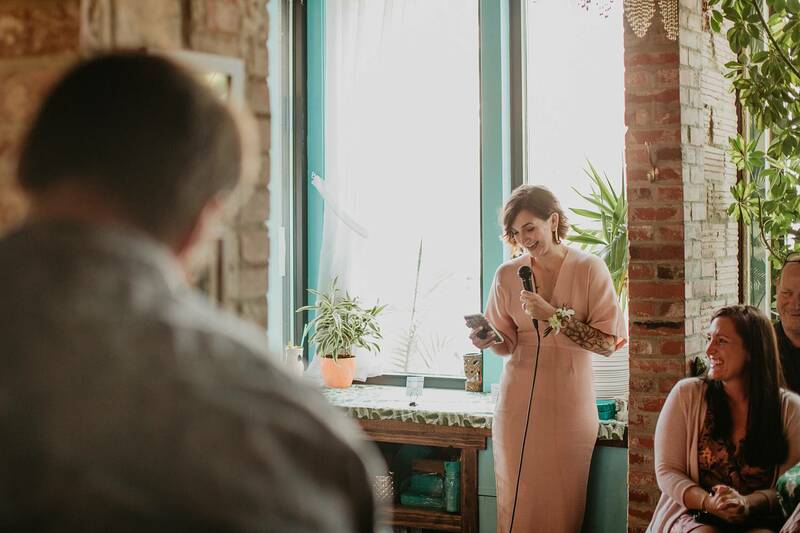 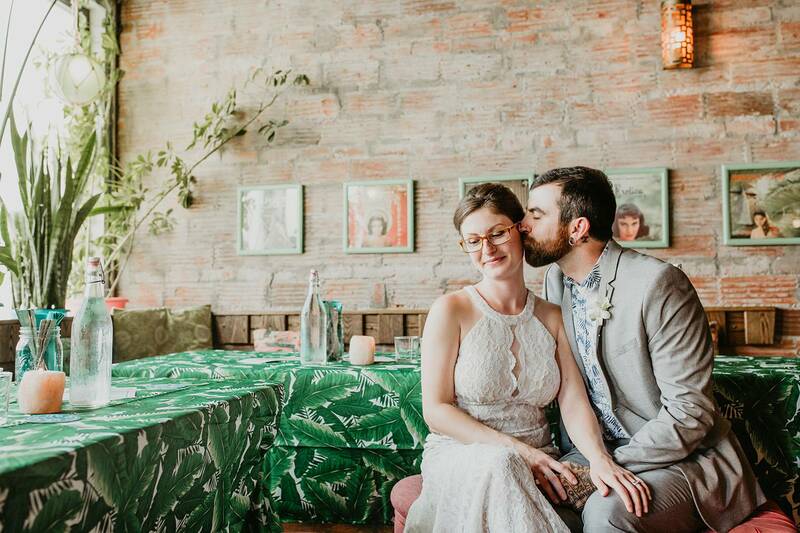 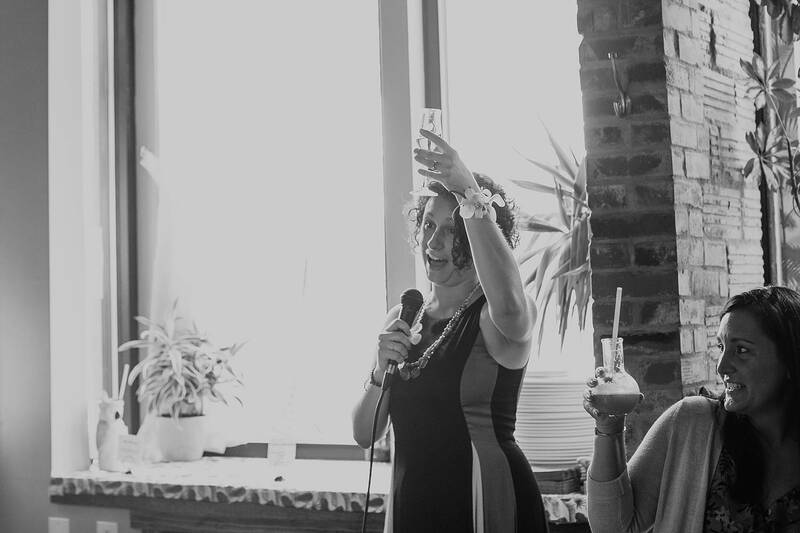 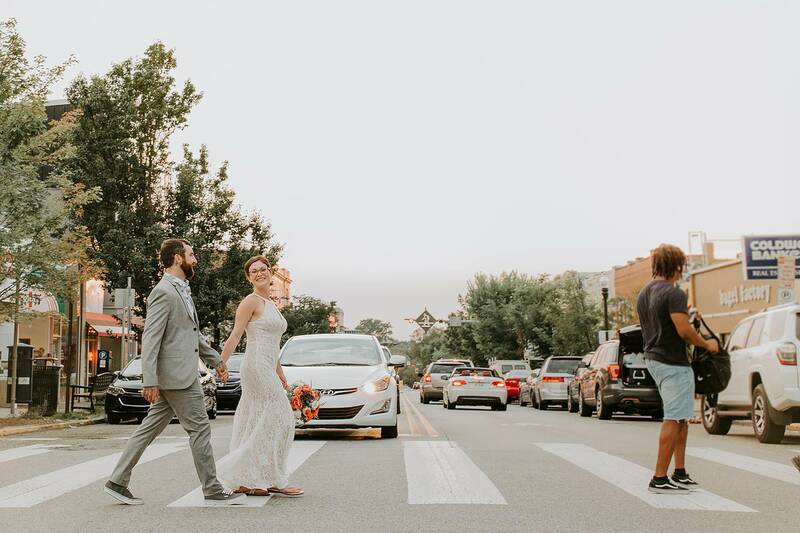 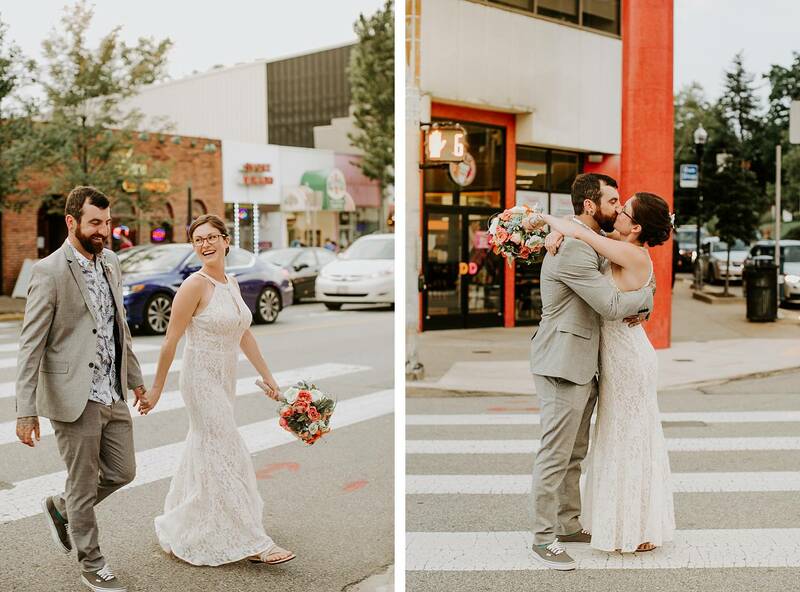 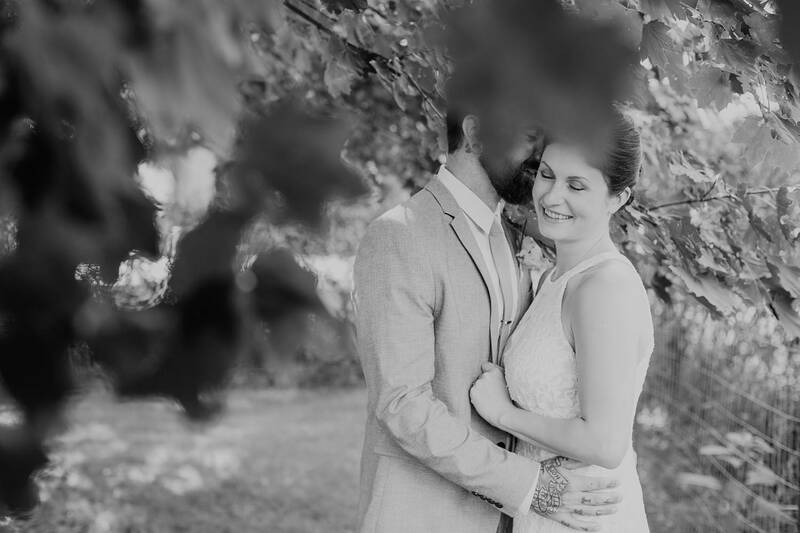 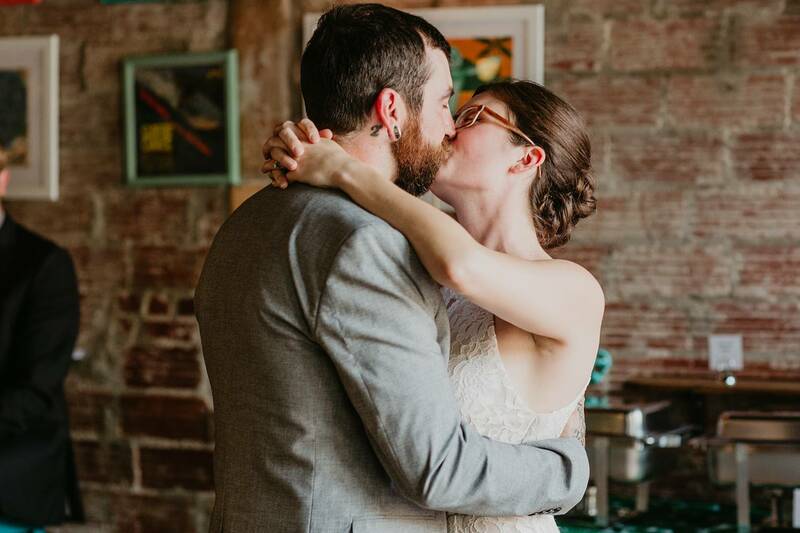 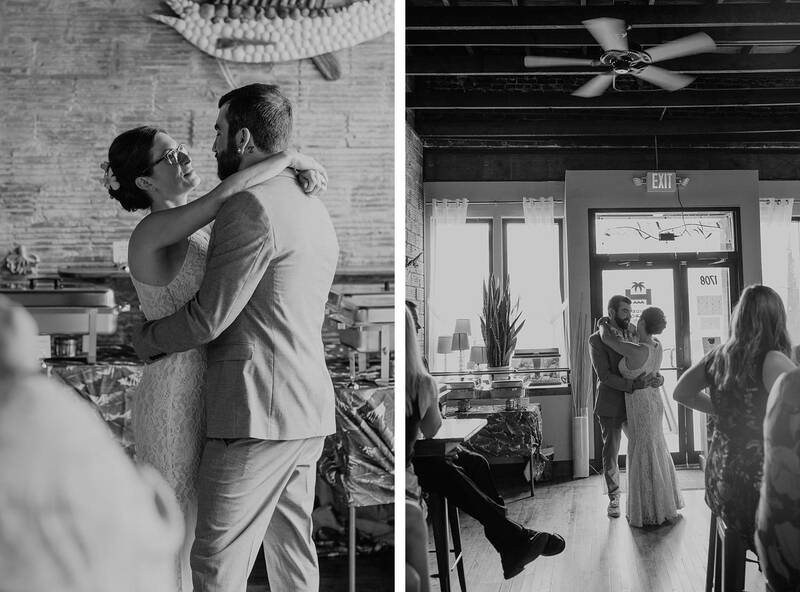 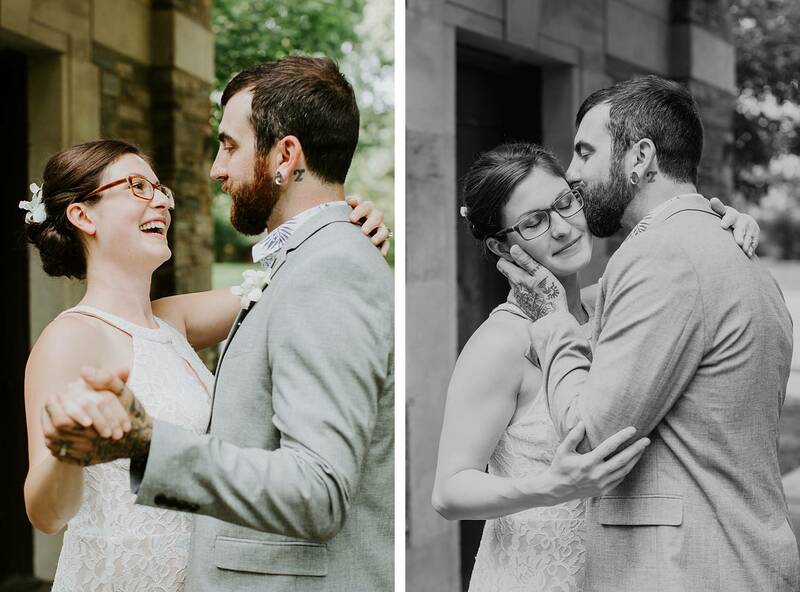 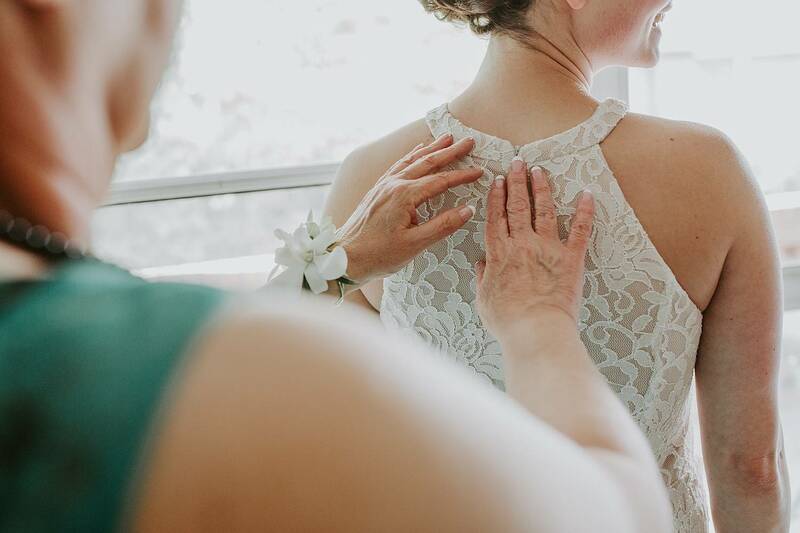 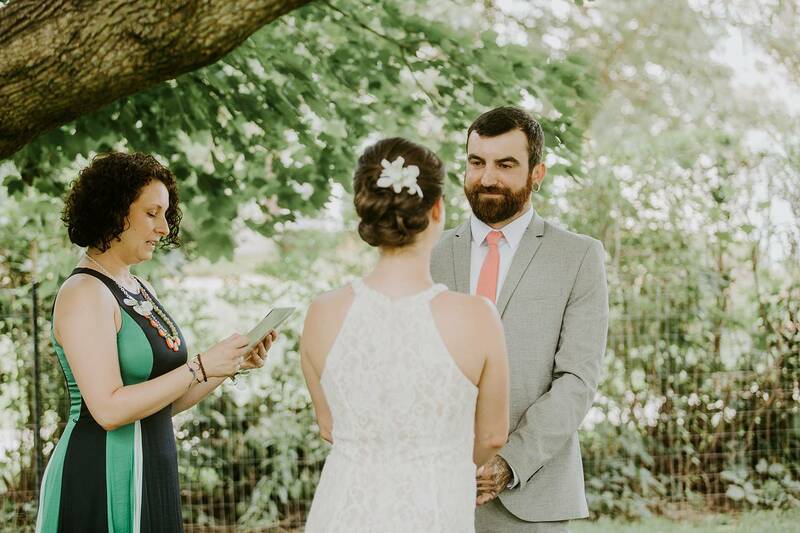 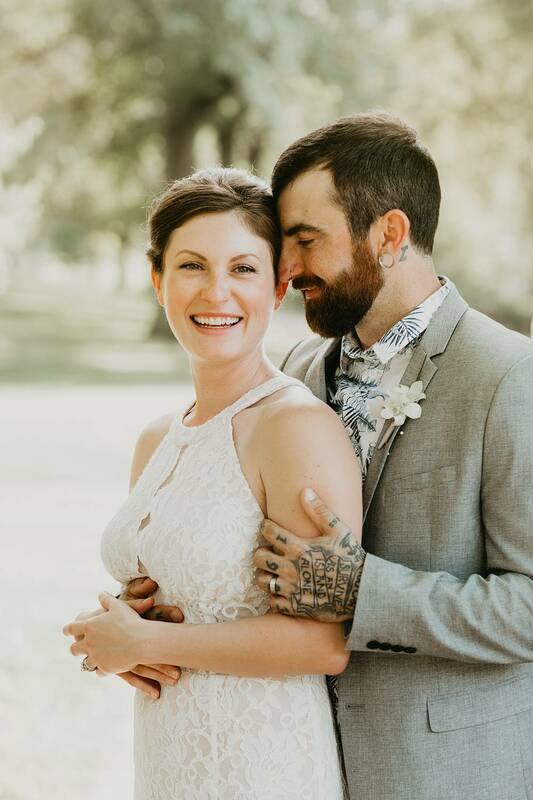 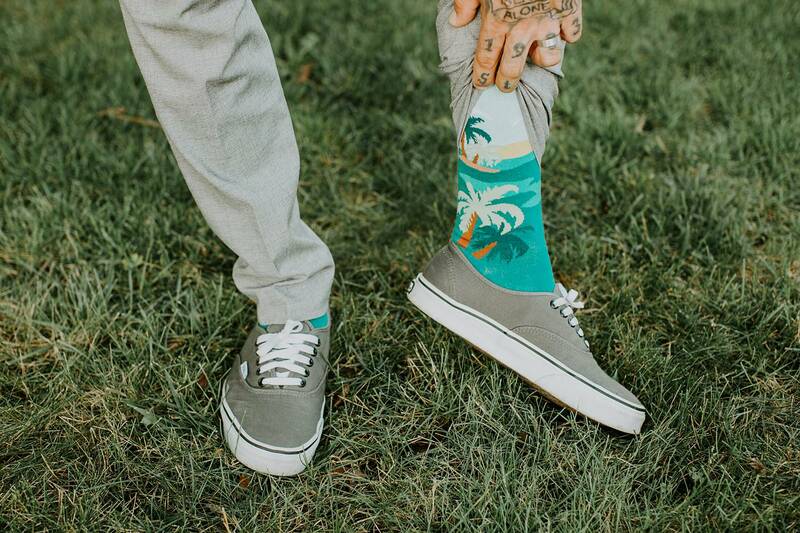 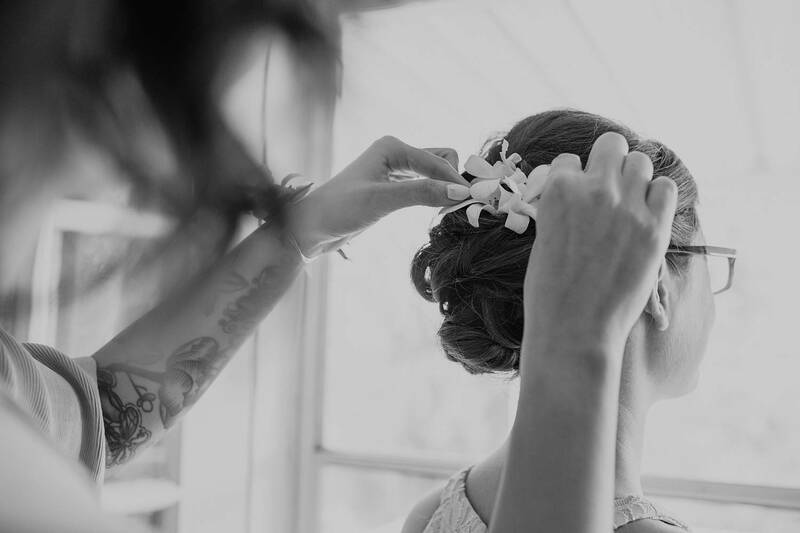 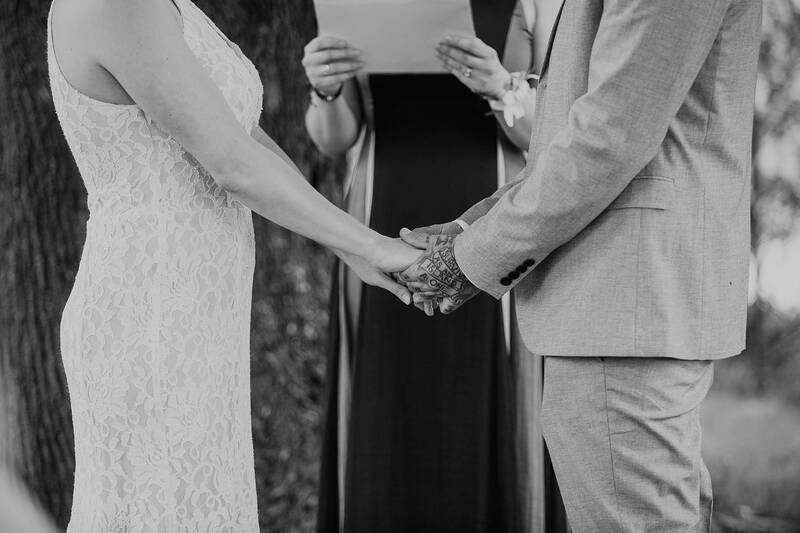 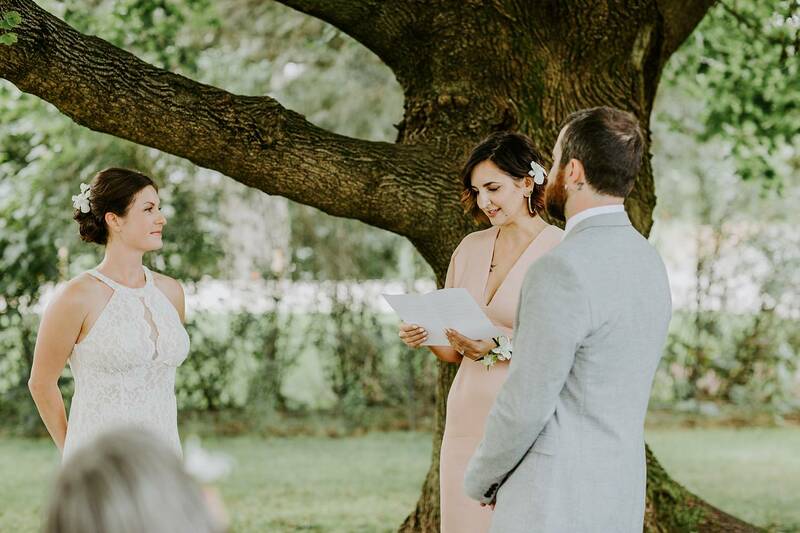 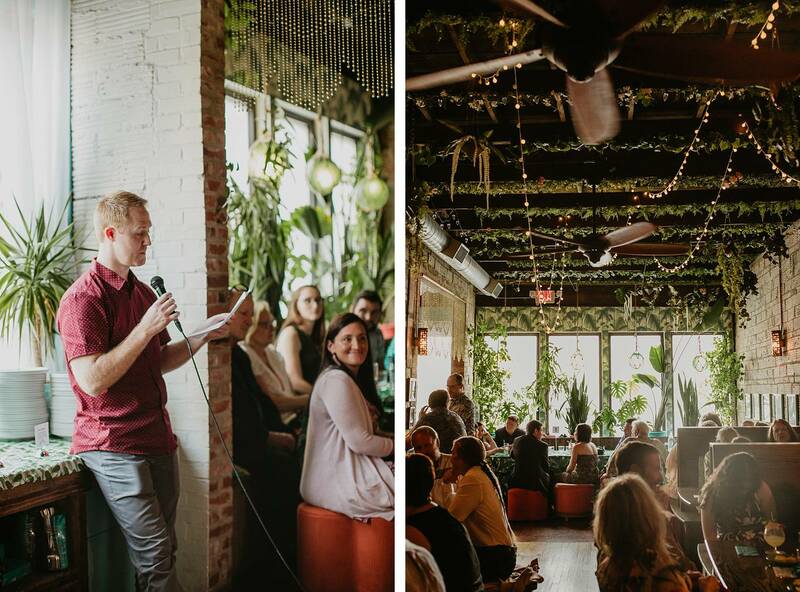 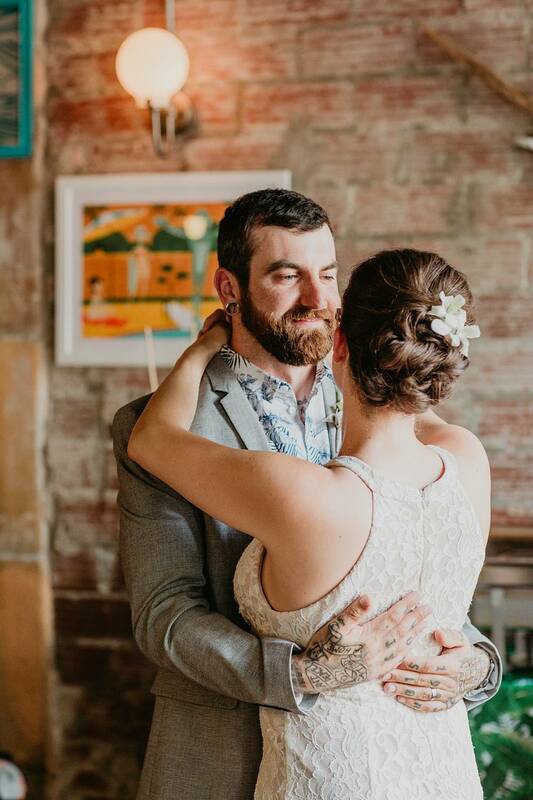 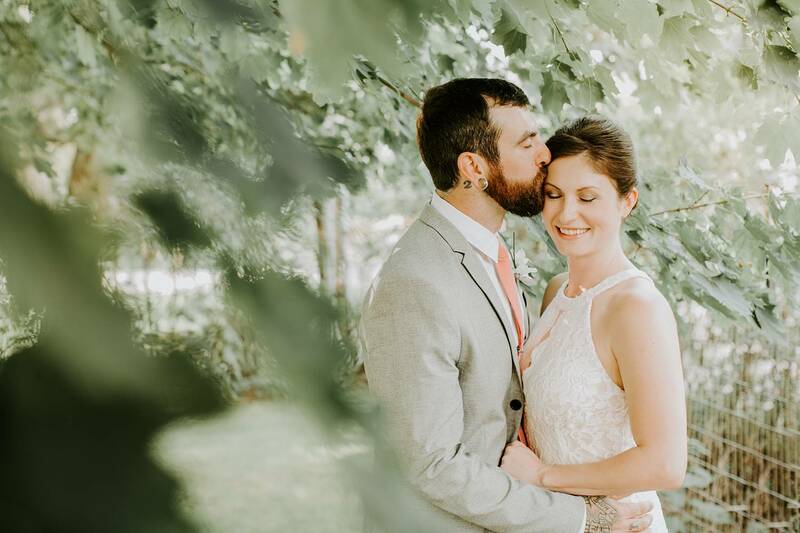 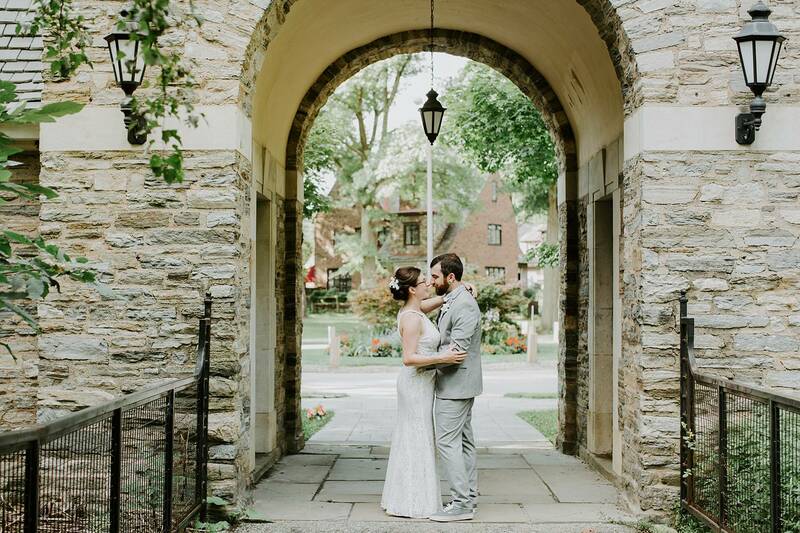 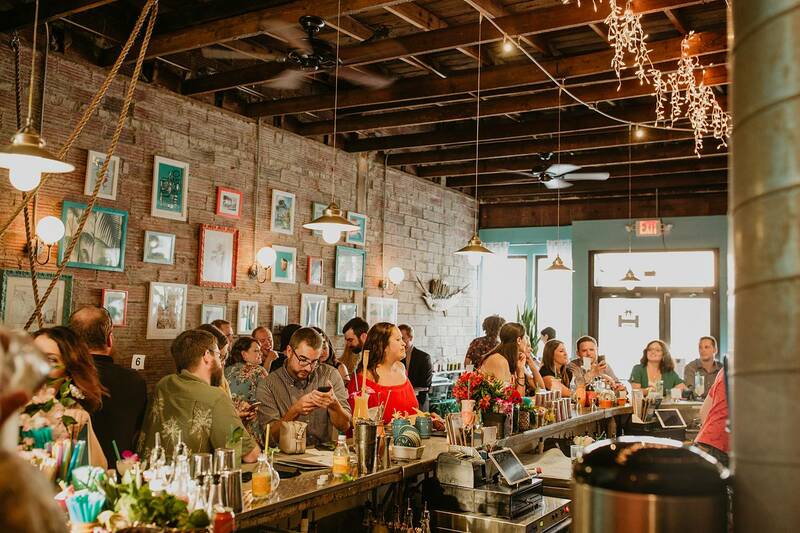 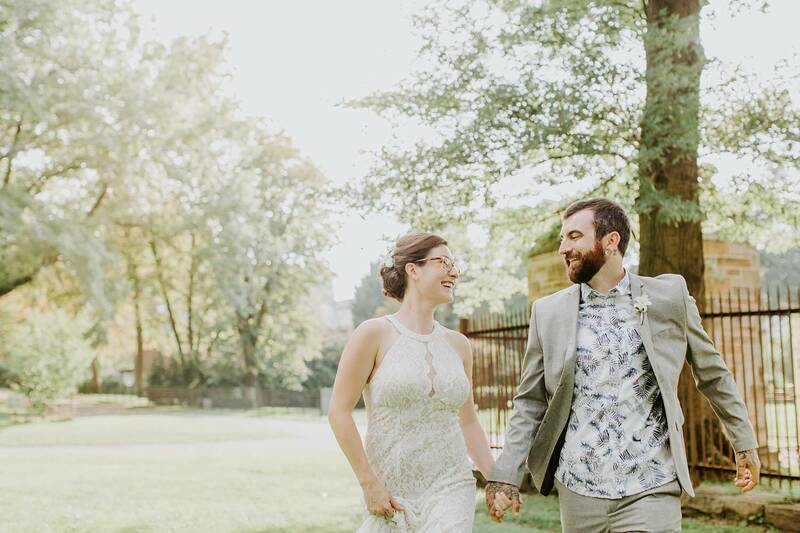 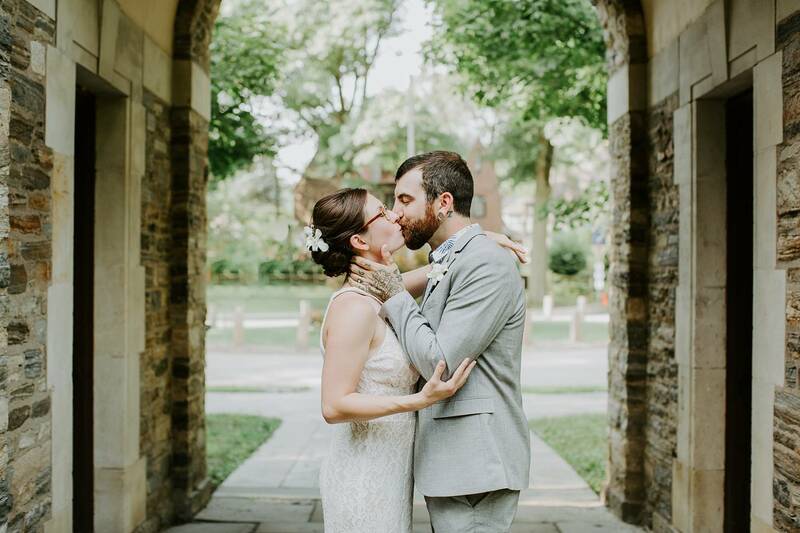 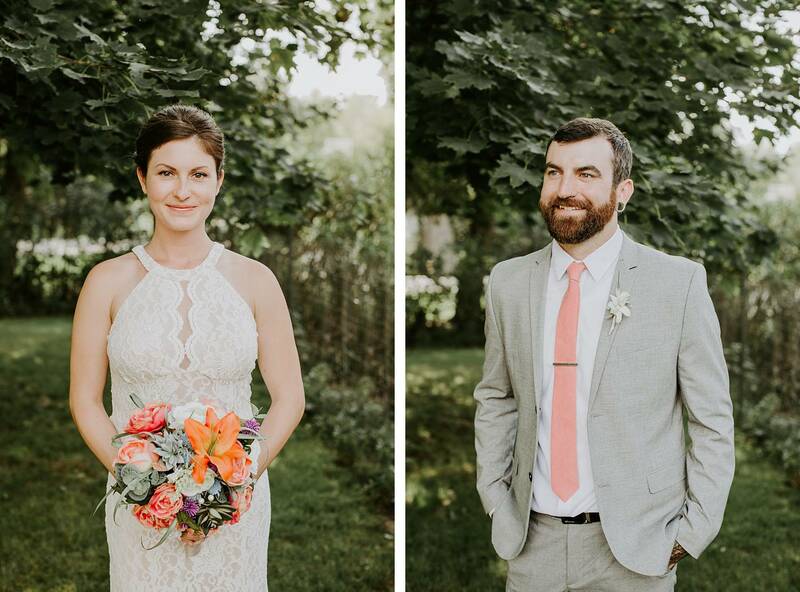 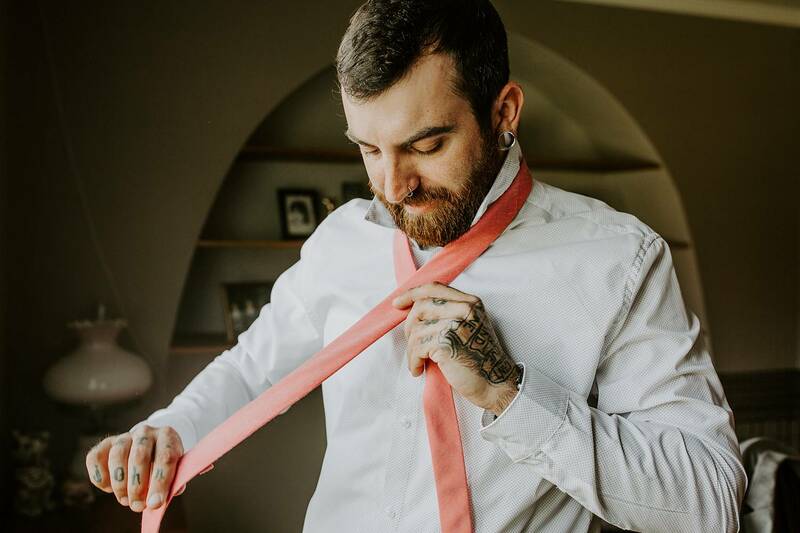 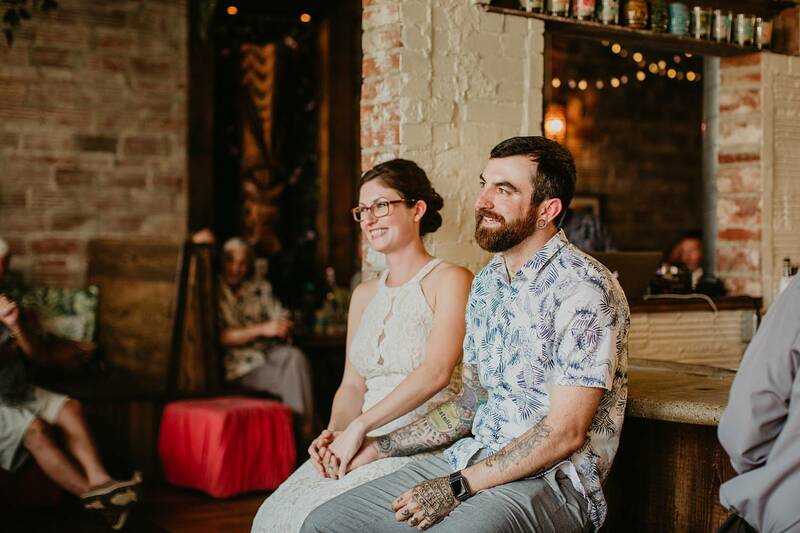 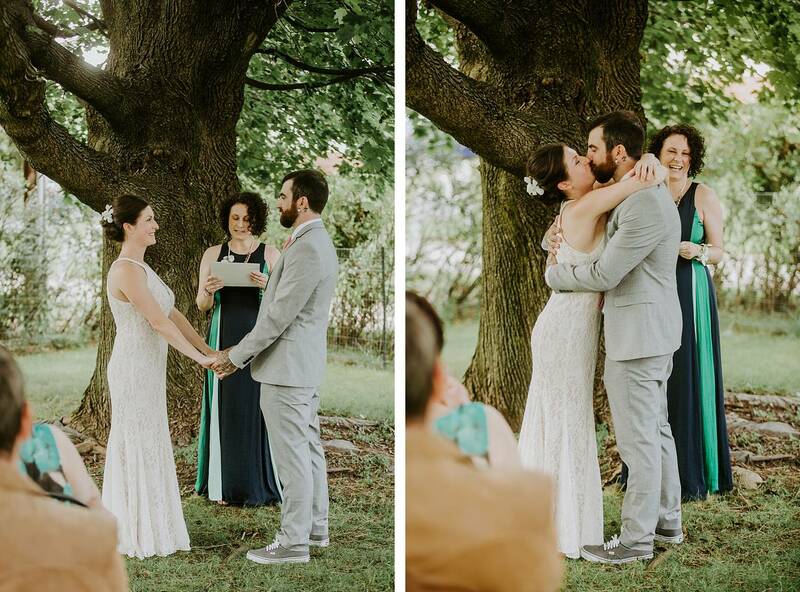 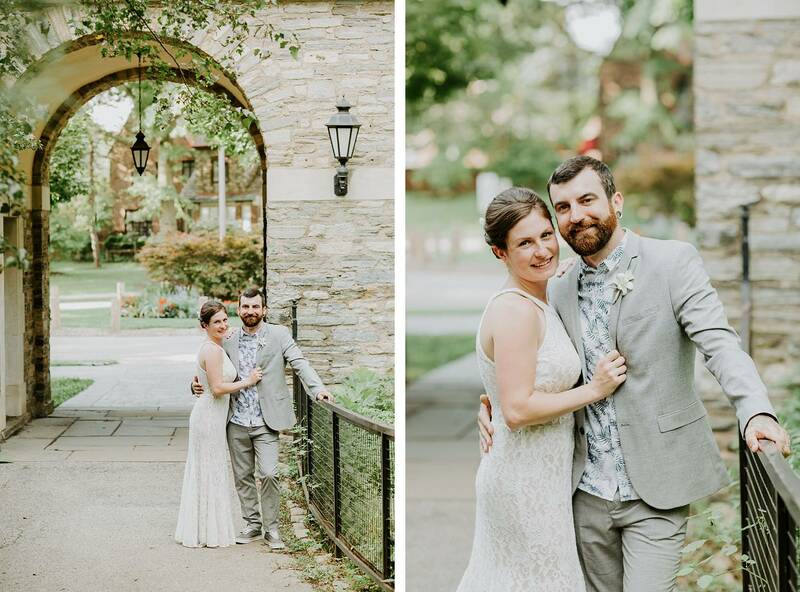 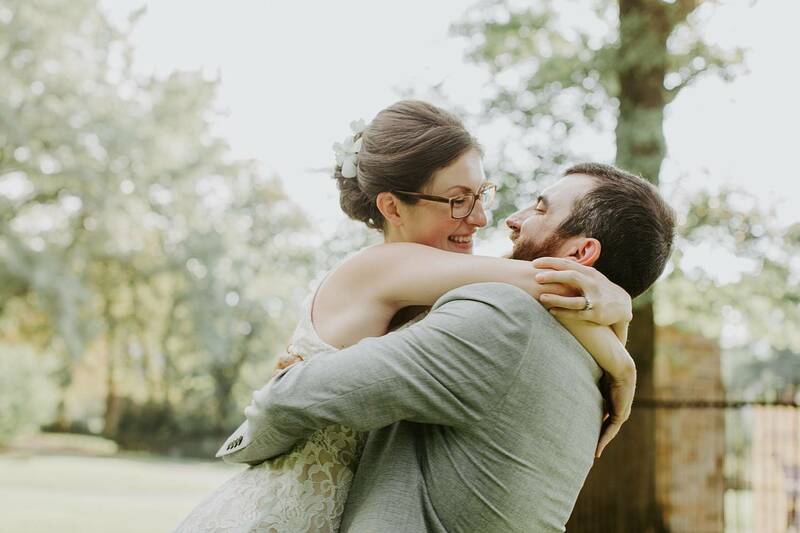 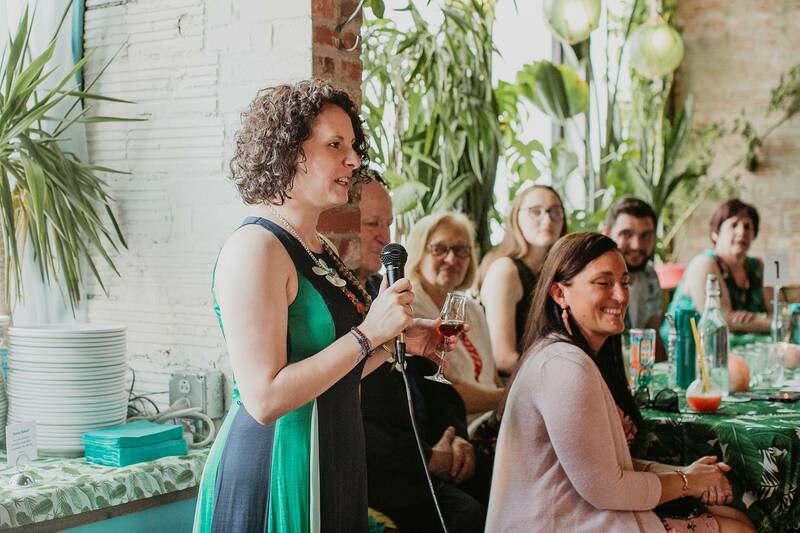 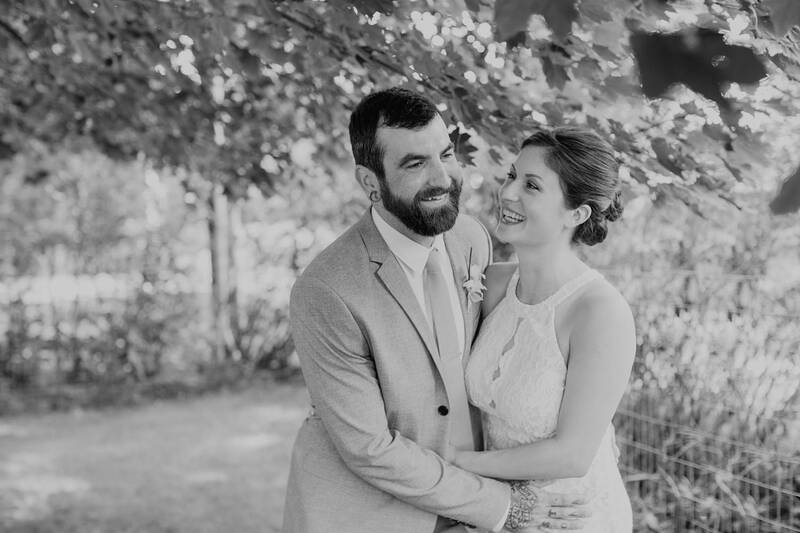 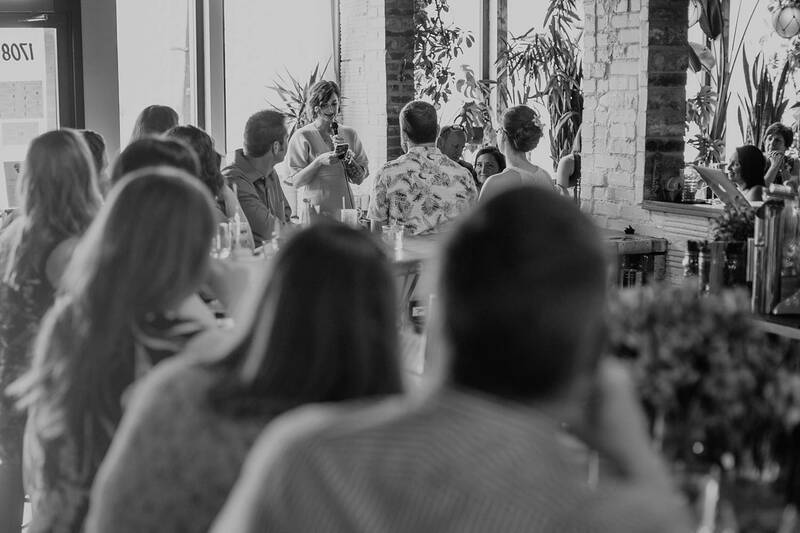 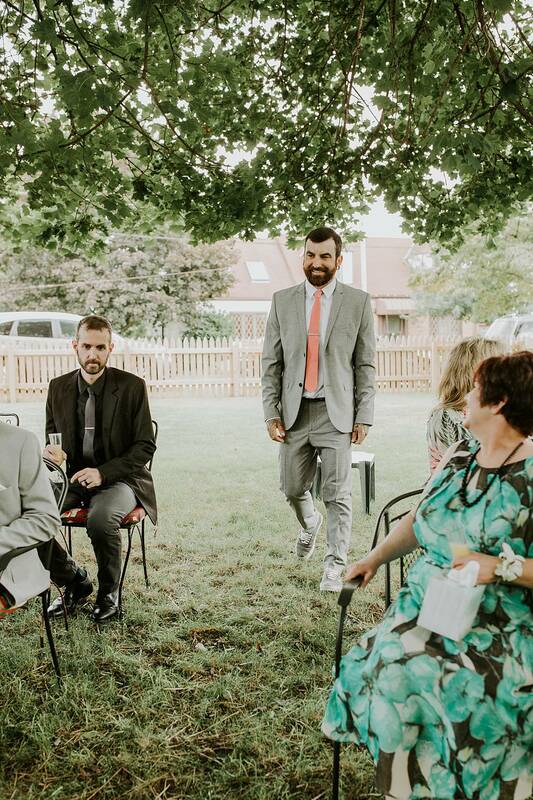 Abby and Travis were married on August 18th during a small private ceremony at their house, and they hosted a celebration for their family and friends at Hidden Harbor Tiki Bar in Squirrel Hill! 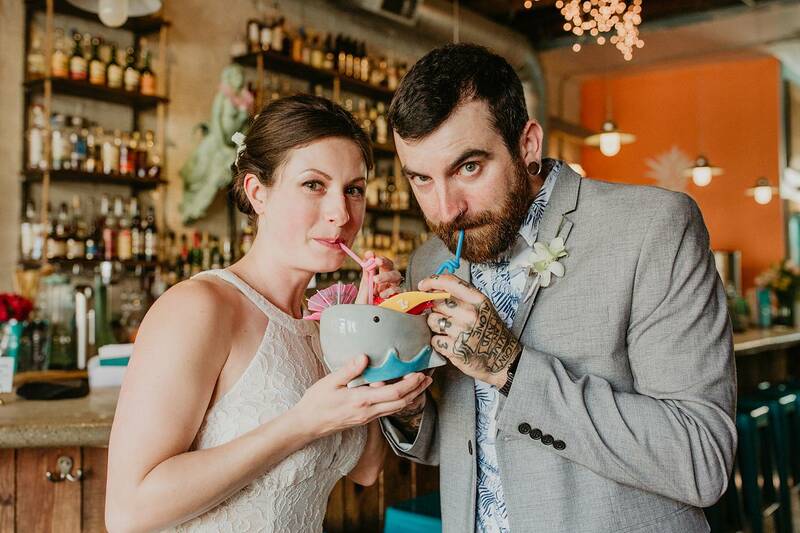 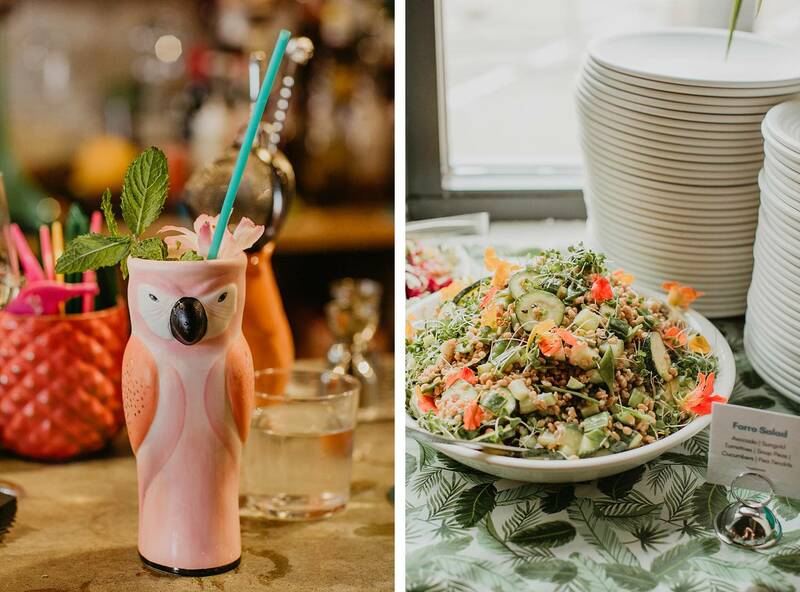 Yes, you read that correct… a TIKI themed reception… complete with tropical drinks that were served on fire! 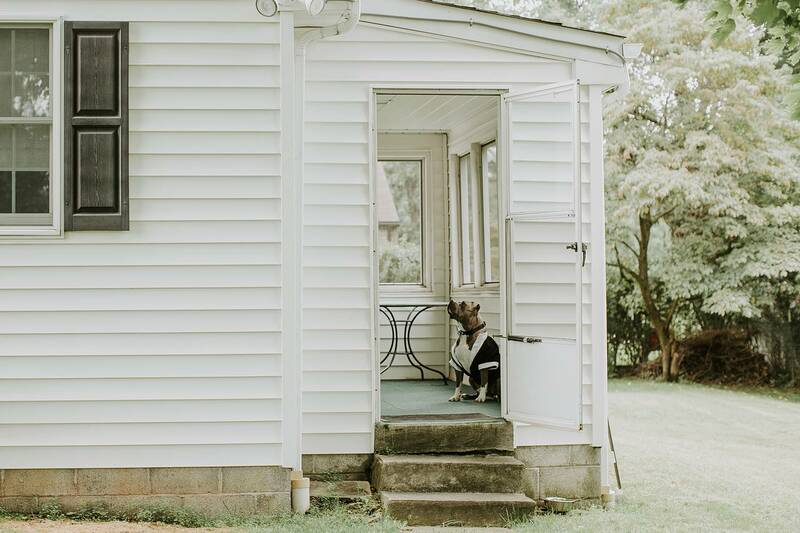 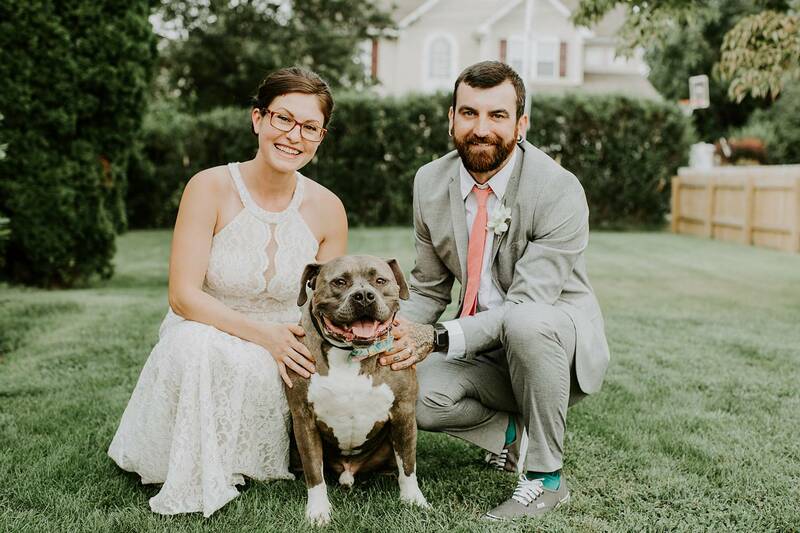 Abby and Travis also included their handsome pit bull, Walter, in their ceremony. 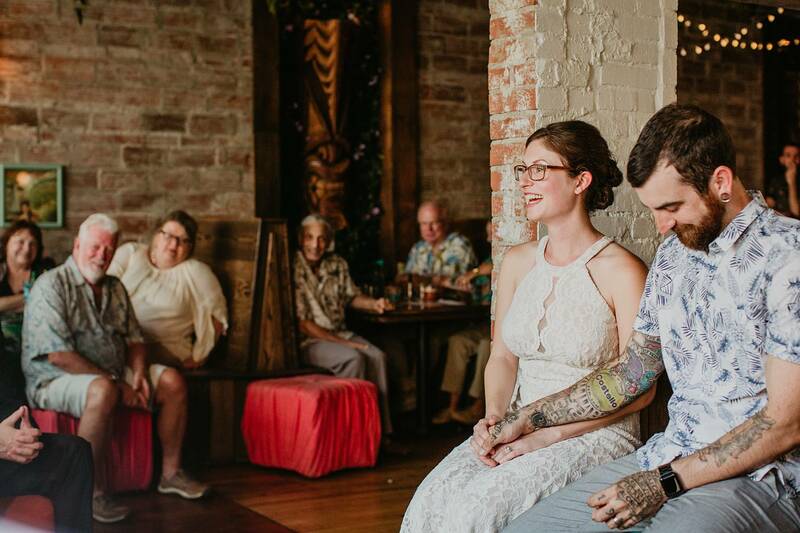 He was a perfect ring bearer! 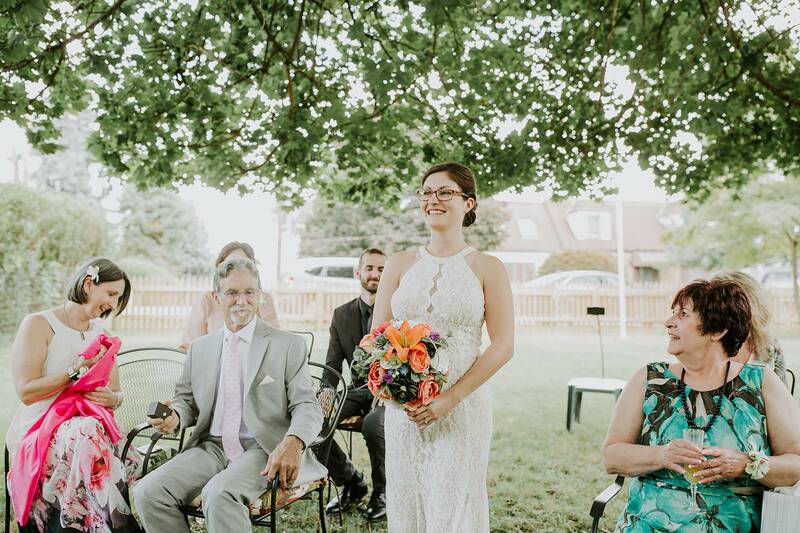 Congrats Abby and Travis on a unforgettable wedding celebration – thank you for inviting me to be a part it! 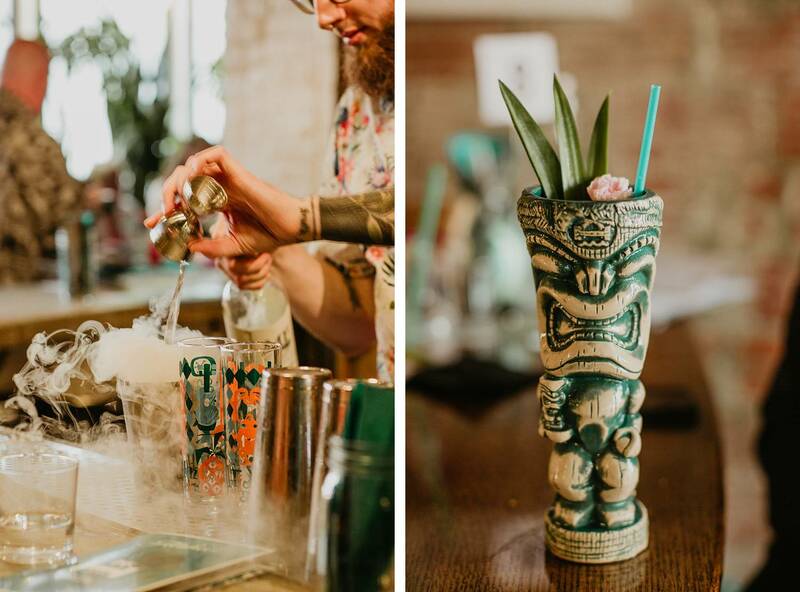 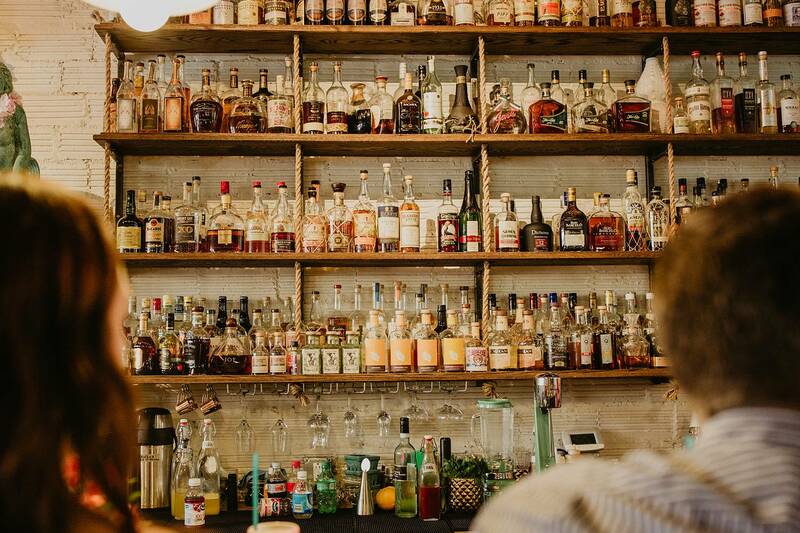 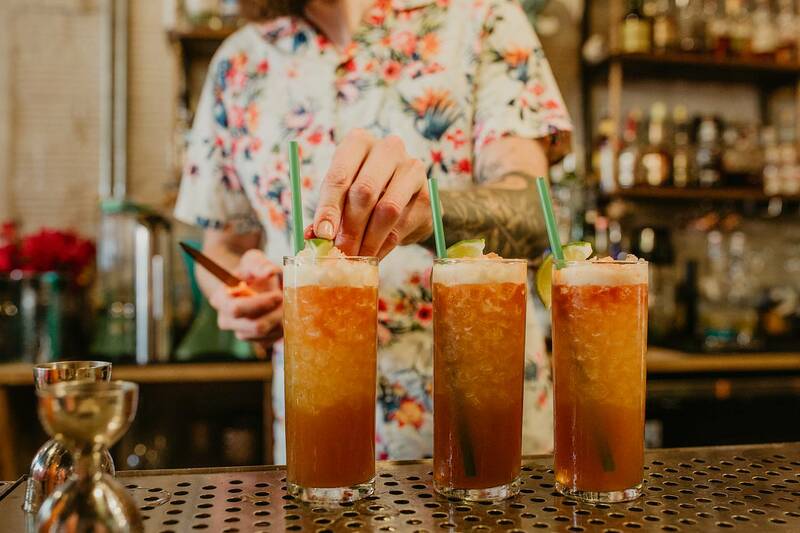 You guys… it’s TIKI time!!! 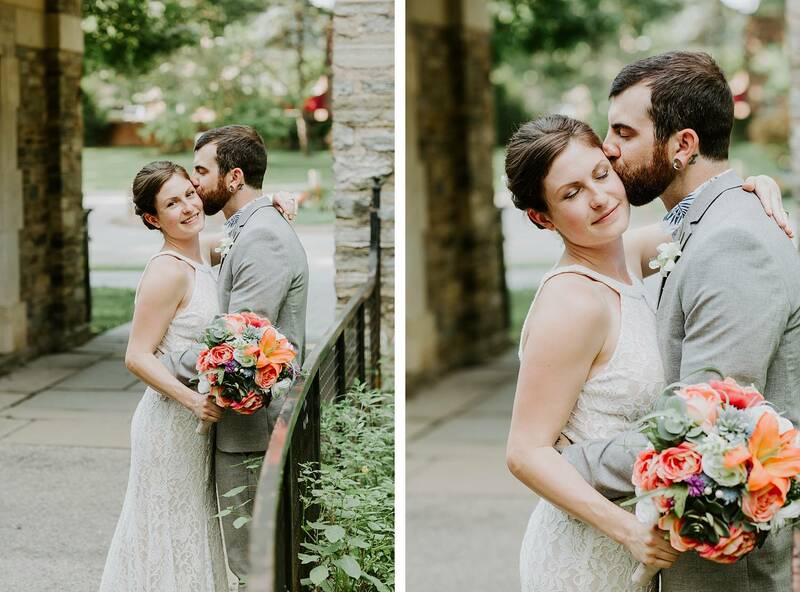 Bride’s Bouquet: DIYed by the Bride!